Femiint Esthetics,a unit of Femiint Health, is dedicated to medical excellence in the field of Dermatology,Cosmetology,Hair transplantation and cosmetic plastic surgery. All Services and treatments performed are extensively researched,FDA approved and very safe for all skin types, performed by excellent team of renowned Dermatologist,Cosmetologist and surgeons. One of the most common problem prevalent during teenage is the acne and acne scars, but for some of us it prevails even in the middle age & permanent scars may develop. Melasma: Melasma is a skin condition presenting itself as brown patches on the face of adults. Both sides of the face are usually affected. Dark Circles & under eyes puffiness often tend to age the appearance of a person.Dark circles develop due to pigmentation of skin in the orbital area due to various factors. 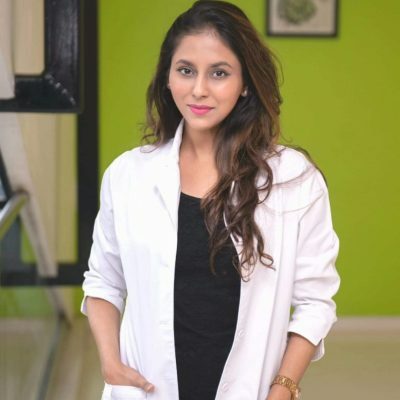 Similarly, the accumulation of tissue fluid or fat can be due to stress, age-related or manifestation of any metabolic disorder leading to puffiness around eyes.Under-eye dark circles & puffiness CAN be managed with right kind of treatment plan & advice thus making you look fresher, younger & healthier. Unwanted facial and body hair is a common problem that can be a source of distress for both women and men. Laser Hair Reduction is the scientific efficient safe & proven method compared to shaving, tweezing, or waxing to remove unwanted face & body hair, giving you smooth and gentle skin along with pain free experience. At Femiint Esthetics, we believe in graceful ageing,which does not necessarily imply that we have to look aged too. Along with right skin care regime consultation, we use the latest, innovative, non invasive treatments to combat the signs of ageing that give you visibly younger, healthy and radiant skin. Botox: This Microprotein treatment helps you looks younger and softens the fine lines and wrinkles on face. Anti-ageing therapies : Innovative skin tightening lasers – Therma RF & Thermage, Non invasive thread lift, photo rejuvenation and medi-facial treatments can help you stop the clock without going under the knife. It is normal to shed some hair each day as part of the Hair growth cycle. However, some people may experience excessive hair loss that needs to be treated as soon as possible. It can be in the form of excessive hair fall, hair thinning or baldness due to various causes. Medi-facials are specially designed and customized by our expert doctors to suit your skin is examined by our doctors and depending on the type of skin and concerns the treatment is advised. Medi-facials make your skin feel pampered, relaxed and radiant. Regular Medi-facials make your skin feel healthier and softer. At Femiint Esthetics, we specialize into non surgical glamorization of a face. By skilful use of Micro Protein Treatment & Dermal Fillers, the facial features can be contoured & glamorized- the brows can be lifted, the nose made sharper & narrower, the lips fuller, cheeks get a higher cheekbone, Reshape the face-round to oval shape..sharper jawline. Chemical peels used at Femiint Esthetics are fruit enzymes acid based solution which helps exfoliation, improves & smooth the texture of the skin giving long lasting health & glow. Skin Polishing remove dead cells and increases blood flow to the skin. It increases the cell renewal rate making the skin looks fresher and brighter. Jet Oxy peel : Jet spray used for exfoliation & hydration,enriching the skin cells with mineral based thermal spring water & other skin nutrients like vitamin C, hyaluronic acid & brightening serum infusion.